I have just one statement to make: The BelleTress Long Mono topper might be a gorgeous addition to anyone’s hair collection! This hairpiece is 18″ (but also comes in 14″ – in the below video, I stated 12″ and that’s incorrect. #fail). It’s straight…but also comes in wavy. Lots of options if you fall in love with a color and want to mix it up between straight and curly, or longer and shorter. BelleTress has definitely piqued my interest lately. 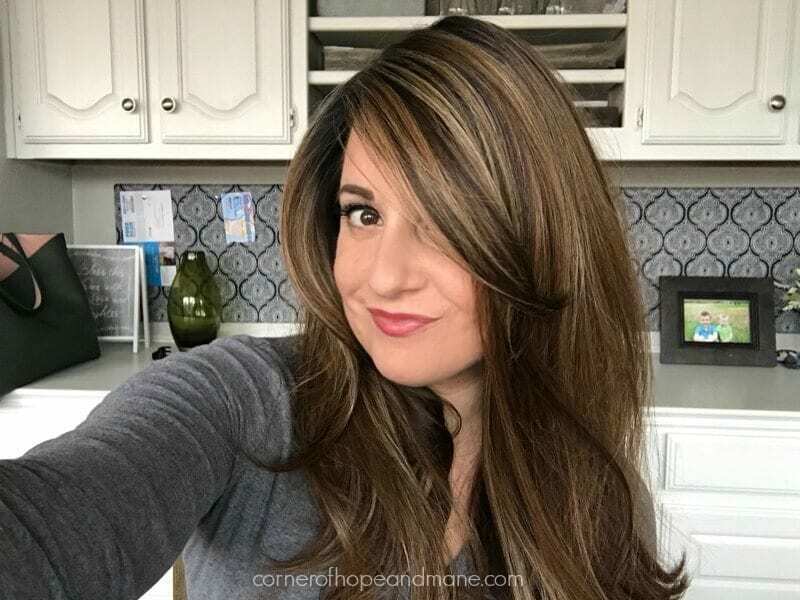 I had just two styles in the Corner of Hope & Mane private Community Topper Try-On Shop…a long blond wavy one and this one I’m showing you today. 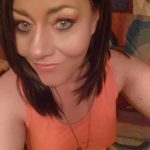 I recently added a 14″ darker brunette, too. Since I’ve been seeing more and more of these pieces, I knew I had to tell you more about this brand. Let’s jump in—and don’t miss the Pros/Cons all the way at the bottom! Here’s a quick overview of her features, then we’ll get into each one. This clip-in, synthetic hair topper is heat-friendly. Some people love heat-friendly hair, and some don’t. I just think it’s just a misunderstood fiber that needs a few extra steps to keep it looking nice (case in point: you NEED to use heat on it occasionally to keep it soft and clump-free). You can use heat on it up to 350 degrees, but it’s recommended to stay in the 280-300 degree range. Straight one day, and wavy the next, anyone? The great thing about heat-friendly (also called heat-defiant or “HD” fiber) is that there is next to NO artificial shine, even with new pieces. Yes, you can certainly use a bunch of dry shampoo and other methods to easily remove shine, but I know some prefer to skip this step. This topper also has a lace front. 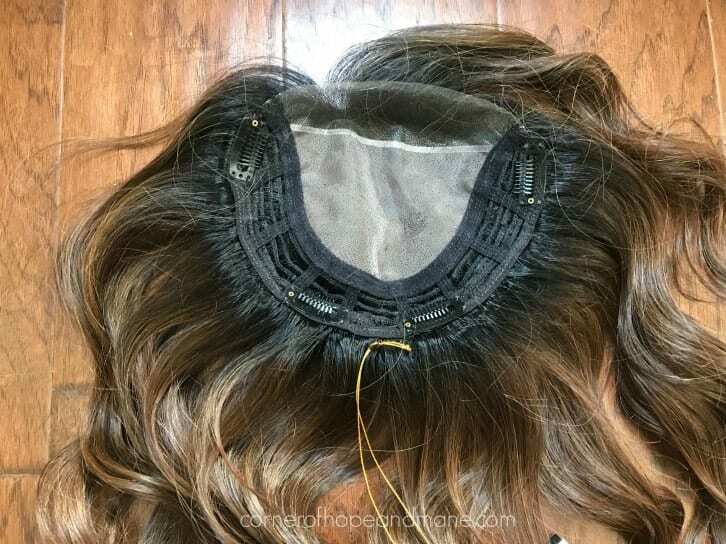 You’ll need a bit of glue or wig tape to hold the lace in place, but if you’re super-sparse up front, you don’t need to worry about integrating your hair into this piece. One notable difference between the BelleTress line of toppers and my Jon Renau Top Secret is that BelleTress features a single monofilament top. You could probably see it in the video when I placed my finger under the mono top to show you the scalp—there’s a pic of this, too, below. With single-mono tops, there is only a meshy/lace-type material that rests on top of your own hair/scalp. Double monos have an additional layer of fabric in between. 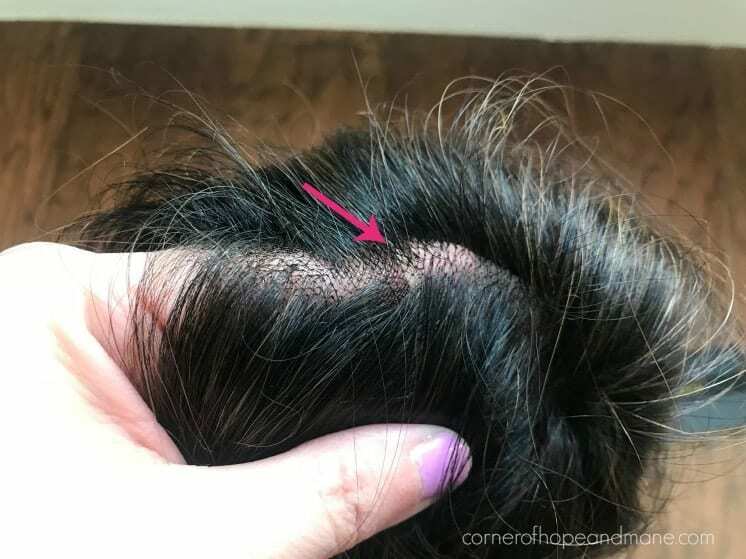 The additional layer helps the scalp to look more natural, and not as pin-dotty. Without the double mono top, I find myself needing to pluck the part a bit to get it to look perfect. I will say, when I wore my Noriko Milan it was a single mono, and the scalp never bothered me. 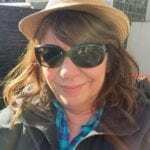 But, now that I wear a double-mono top, I do prefer that more! I did a little experiment with another lace-front piece, Top Billing by Raquel Welch. The jury is out if it’s just more noticeable on the BelleTress topper because of the dark roots (what is your opinion?). I’ll admit—it bugs me a bit. You can purchase the BelleTress Long Mono and anything else in the BelleTress line at Namebrandwigs.com. A few other online shops carry it, too. All pieces mentioned in this post (Several BelleTress pieces, Noriko Milan, Jon Renau Top Secret, Raquel Welch Top Billing) are available in the Hair Try-On Shop, available to Corner of Hope & Mane Community members. Learn more about hair topper try-ons here. What do you think about this BelleTress piece? I love that she’s available in both 18″ AND 14″…and the color is to-die-for (this one, and every BelleTress wig or topper I’ve seen!). Hey Lauren, thank you for highlighting this piece, it is on my short list of possible next choices. P.S. I love the color and it looks amazing on you…do you see yourself switching to wearing this one daily? I may get her to try on the weekends. The transition is mildly annoying but can be worked with. Glad she’s on your list! Would love to see her on ya! Lauren, this topper is gorgeous on you! Thanks for sharing! Thanks, Irelyn! BelleTress has some beautiful color blends. My problem with this topper was she seemed sparse in the back. My solution was to purchase a second, cut the wefted part off and attach it to the first. Looks great and I can use the second topper’s monotop for bangs with a hat. My solution for hiding the silicone line was to trim in a fringe. It’s all about having fun with hair, whether you’re born with it ir buy it! Look at you crafty girl! I found her to be full enough in the back – the wavy version, due to the curl pattern, is less so. It looks like most of your hair loss is on the top. Just wondering if you’ve ever used a small topper that ends at your ears and blends with your own hair. I love your videos and your attitude. You are inspiring. What is the color on the RW? Shaded Cappucino SS12/22. Seriously gorgeous! Love this piece. Have the wavy version and think it is great! Mocha with cream is a realistic color. Lauren- how would you go about disguising the transition part? Would you pluck or use concealers? Would love some tips on this as it is such a great piece the transition part should not be a dealbreaker. I’m assuming you don’t want bangs (I don’t either). The part could use a bit of plucking, but removing the hair there will highlight the band even more. I’d probably start with some powder foundation to see if that helps, dabbed first on the underside and then on the topside. Some clever parting can help, too. Can you give a cap size on this Belle Tress topper? I have a Belle Tress Sugar Rush piece in the Mocha with Cream which I turned into a topper. The hair feels fantastic and the color is lovely — very realistic. Hi Cat! I think I mention it in the video – it’s around a 6×6. Definitely smaller than what I wear typically, but still full-coverage IMO. I have that topper in the 12” wave. I cut bangs into mine and absolutely love it. The ends did fray pretty quickly due to the HD fibers but a flat iron straighten them out pretty well. I’d send a photo if you’re interested. I, too, prefer double monofilament toppers. So much so that I did some surgery on an older one that worked really well, in my opinion. So…I shopped for a pair of undies in a somewhat silky fabric that matches my skin tone, cut them to the size of the topper cap and basted them right to the cap with thin thread that matched the hair color on the root. It took about 15 minutes, gave a realistic part, and no one can tell what’s underneath. ? Love that, Renee! Thanks for sharing. Hi Lauren, I have the 14 inch wavy Belltress but haven’t been able to find the 14 inch straight piece you mentioned anywhere. Thanks reviewing this. Looks so good on you! Oh no! Have they been sold out everywhere? Check to see if Cysterwigs has it. Hi-sorry!!! I was mistaken. Several places have the 14 inch-I just wasn’t looking carefully! Thanks. Looks gorgeous & love the color! Is the Top Secret still your go to? Can this piece be worn in a ponytail style also? It’s beautiful! Yep! Because she’s a 6×6 there’s plenty of opportunity for this. Lauren, I’ve been wearing the 14 in for about 2 months now, and I have never been happier. Like another commenter, I found it too sparse in the back, and also added weft from an old JR. the transition strip is the ONLY issue I have with her. Otherwise, she is the most natural looking topper I’ve tried (and I’ve tried LOTS). I truly feel like I have my hair back, when wearing this one. Hopefully, BelleTress starts a trend towards more lace front toppers in the market! Fran, that’s amazing. So glad you are happy! Awesome! Can I get one in a curly? I couldn’t find a partial curly on the website link. Nice at right pieces, though. Nice piece & the color is great on you. I wish we could see how it looks from the back when you have it on. I’m always concerned if a topper will cover my hair & look natural since toppers are not as full as a wig so will they blow all over & part with the wind therefore revealing that you have “something” on. I like sides swept bangs, can that be cut into a topper as well? Thanks for your input. I should’ve done a back shot, you’re right. These do have side swept bangs, although they are very long. You can definitely trim them up to your liking. I bought this last week as well and stumbled upon your review. I love it! It’s my first lace front and it’s a game changer. It looks so much more natural to have the ability to brush your hair back from your face and have it look like it’s growing from your head. 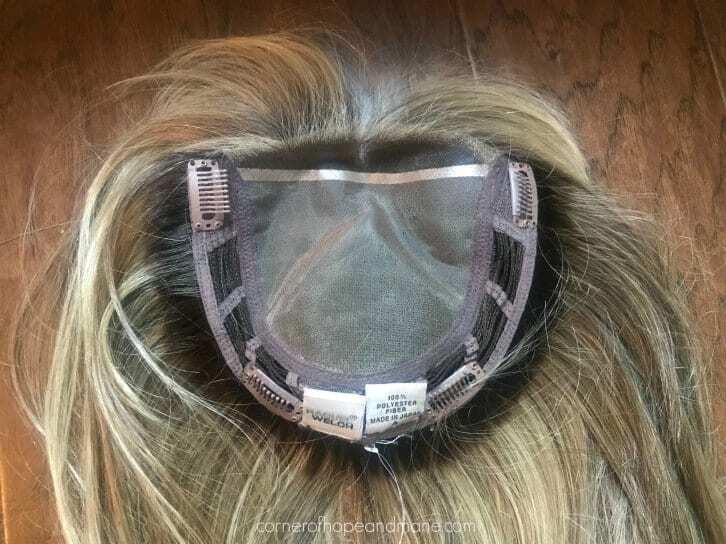 Question, do I need to trim the lace front part? It looks pretty narrow already. Also, do you just use this clips or will you use glue or tape? The clips seem to work fairly well so far. I’m still in shock at how great this looks, for such a low price. Looks really pretty on you BTW. I ordered Ginger, which is a really nice dark brown with no redness, which I wanted. Nope, with synthetic pieces the lace comes pre-cut, so unless you want it smaller, there’s no need. For this one, I’d personally use a piece of tape on the lace to keep it flat…but some don’t need to. Hi Lauren. I’m happy to find your review. I just purchased the wavy 14”. I adore the color & the fibers look so real. I’m having trouble with the waves winding back up in themselves after I’ve separated them. Any suggestions on products or methods to prevent this? Hi Heather! Is your bio hair naturally wavy? I ask because I’m guessing this is pretty common with curls, in general. It happens to me, too. Don’t be afraid to run a wide-tooth comb through (or finger comb with clean hands) throughout the day. 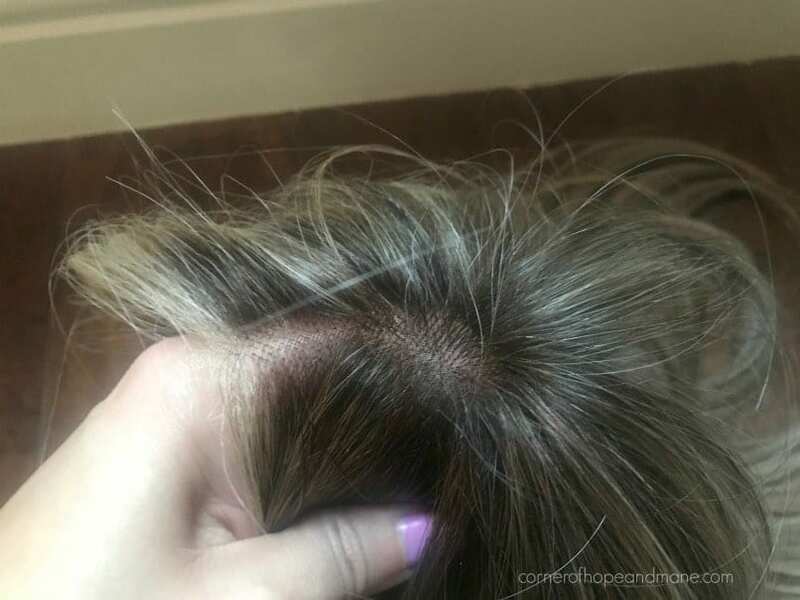 This is my first comment, although I’ve been lurking for quite some time … learning all I can about wearing hair as I have a form of scarring alopecia that’s getting to the point of seriously stressing me out. I’m so grateful to have found this space and community, which has shown me that I’m not alone, that so many other women wear hair, and that doing so can be seriously fun! So … I just received my own 14″ Belle Tress lace front (straight version) and I’m wondering if you can share some tips on “taming” her down? Holy moly! I know part of this is just that I need to get used to having something on my head, and learning how to style it, but the hair will NOT lay flat. Which, to me, looks completely un-natural and like I have way too much hair! Previously, I bought the easiPart HD (which I still have); for where I am right now, that piece is much closer to the amount of hair I need, but my issue with that one is that my hairline is too thin to disguise the cap AND I can’t get the clips to hold tight, no matter what I do. I’d love to “convert” the easiPart to a lace front, but I’m not that crafty and don’t know how I’d do it! Anyway, sorry for rambling, but I look forward to any tips you might have! Thanks, Lauren! I just got an email about that post and am off to read it now. 🙂 I appreciate your tips and look forward to experimenting with the hair dryer and flat iron this weekend. Also, do you think plucking is a good idea if I still “need” to thin things out? Hope you had a great Mothers Day! I do! Just promise me you’ll go slow, take a few steps back after each hair or two, and assess.